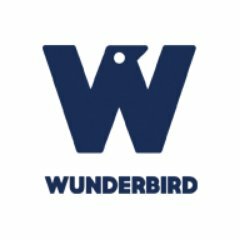 I'm sure we've all got a bucketlist whether it be acknowledged or buried deep in the subconscious mind, and equally I'd guess that between us they're likely to be as diverse as they are long. Sure swimming with Dolphins, visiting NYC and doing a bungee jump are going to feature more than I'd care to count but it's those more personal activities that really mark us out as individuals. For me one such goal has been brewing ever since I first laid eyes on an RNLI lifeboat as a child and that is to simply watch a slipway launch in the flesh. If you asked me why I probably couldn't give a definitive answer other than to say it was something born from the curiosity of childhood which has lived with me to this day. During our holiday in Cornwall an opportunity finally arose to satisfy that decades long intrigue as the Sennen Cove lifeboat launched on a scheduled training mission. All I can say is that it easily lived up to expectations. 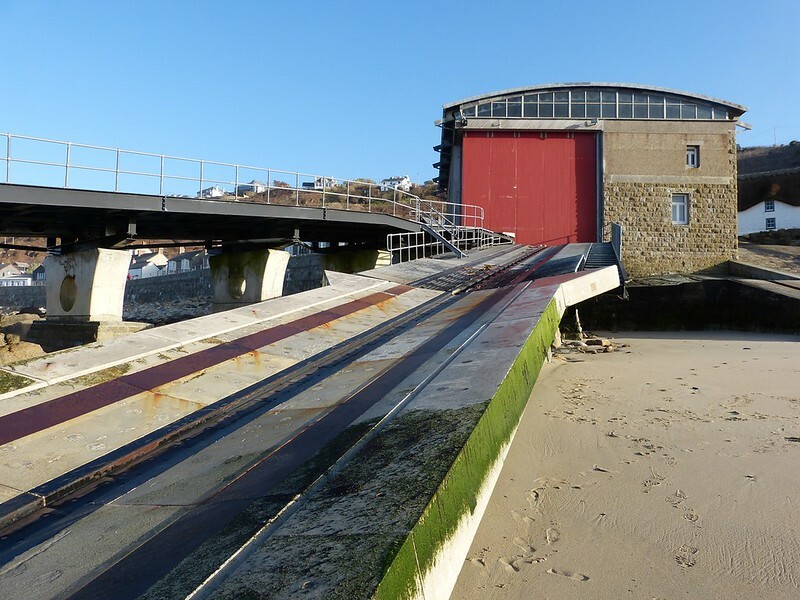 Of course a lifeboat is only part of the story at Sennen Cove as even a cursory glance at the RNLI station itself will attest to. Rebuilt in 2001 to accommodate the largest Tamar class of vessel it occupies a commanding position along this stretch of coast and for me at least was of real architectural interest. 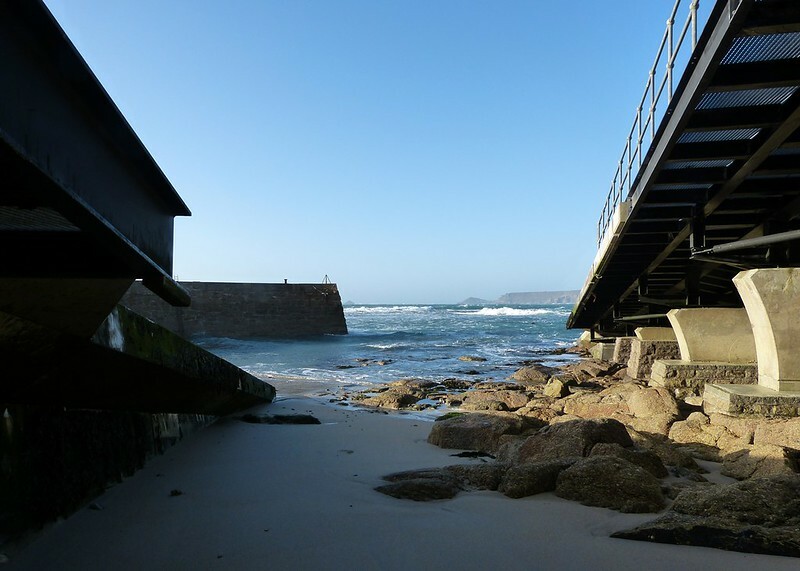 In particular the double slipways are unique to Sennen Cove allowing the lifeboat to be recovered in the shelter of the breakwater at high tide or up the launch slipway (seen in the video above) when tides are low. Needless to say I got busy with the camera and these are a few compositions that I was particularly pleased with. Despite my enjoyment of these vessels and their homes it's important to remember that the RNLI serves a vital function in keeping our seas safe. 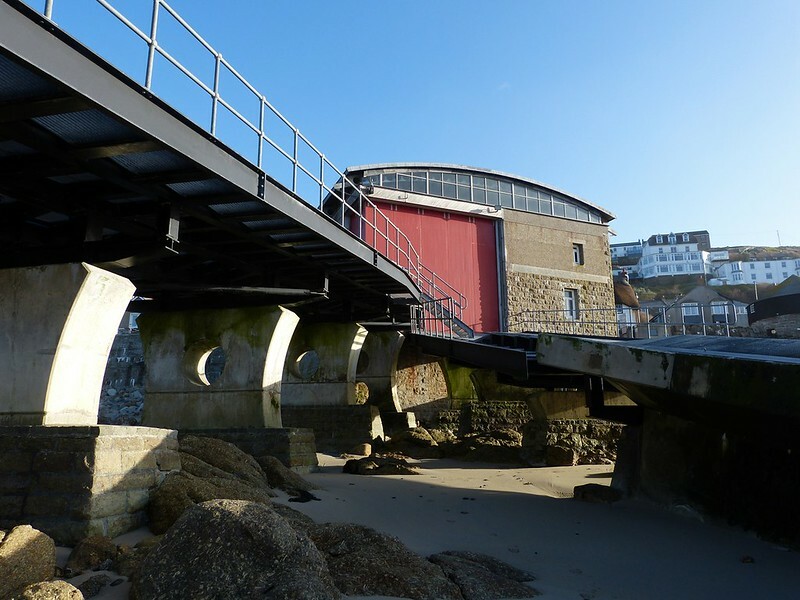 Established in 1824 they now offer twenty four hour cover from 236 lifeboat stations and a fleet of over 340 lifeboats. In 2012 alone there were 8,321 launches rescuing on average 22 people per day. All this is even more remarkable when you consider that the RNLI is a charity and almost entirely funded by public donations and legacies. The fact that they are able to raise those necessary funds year after year is testament to how valued the RNLI is by all who use our coasts and seas.